I am not ashamed to say it. I am a product of affirmative action. Was I slow? Have trouble learning? Issues adapting to my environment? My grades were certainly competitive enough to get me from high school to undergraduate to law school. I went on to pass the bar exam, have a long career as a prosecutor, teach, and hold leadership positions in various community as well as national organizations. My profile is far from unusual. Affirmative action may aid one in getting in; but one has to perform to stay in. But to lump all students of one race into the category of being “slow learners” because entered a university based on a more broad based criteria is shockingly ignorant. That appears to be the thrust of your statement “There are those who contend that it does not benefit African-Americans to get them into the University of Texas where they do not do well, as opposed to having them go to a less-advanced school, a less — a slower-track school where they do well”. There is a misconception that affirmative action scrapes the bottom of the barrel of African-American students in order to preserve diversity. That is not the case; all the African-American students I know were able to compete as well as or exceed their white counterparts. The test is a long term one – whether or not the student succeeds academically, graduates, and what they do afterwards. Painting minority students with a broad stroke because one believes they “shouldn’t have been admitted” ignores the long history that resulted in affirmative action in the first place. There was a time in this country that no matter how good your grades were as an African-American, you could not enter a mainstream university. Affirmative action was designed to make sure the playing field was leveled. Affirmative action is designed to make sure that institutions have diversity in their midst, and to assure equal education for all races. Separate but equal was not equality, as set forth by your learned predecessors on the Supreme Court during the case of Brown vs. Board of Education of Topeka. Your comments seem to indicate you wish to return to a time that your predecessors found to be abhorrent. Affirmative action was designed to combat institutional racism; it keeps universities honest. Without affirmative action, unless there will be a way to closely monitor and examine each universities admission policies to assure quality, there is no way to guarantee that qualified African-Americans would be admitted. With the recent unrest on the University of Missouri campus, as well as other campuses, what if colleges, under the proposed removal of affirmative action, decide that they would always take the qualified white student over the qualified black student? What if they decide that varying opinions are too troublesome, and decide to create a homogeneous campus? This is a true concern, and happened in this country for decades — which is why affirmative-action needs to stay in place. The comments made during this case smack of prior theories that have long been debunked about African-Americans and intelligence such as the bell curve theory. In school, I witnessed white students as well as African-American students who could not cope with the stresses of the environment. Competition brings out the best and the worst in people. Some succeed, others don’t. No race has the monopoly on the ability to succeed. And white students complaining that a “good white candidate” was denied an opportunity because of affirmative action forgets one basic fact — maybe the white candidate was denied entry because he or she did not meet the entrance requirements period! Do white students begrudge the white athlete who has barely a 2.0 grade point average but possesses a gifted throwing arm thus making him able to be a quarterback on the football team? No one questions that, but it’s an example of someone who may not be qualified for an elite school being admitted because the school has a need. This worst-case scenario pales in comparison to affirmative action, where the African American students in question are qualified — but occurs daily across the country. The performance metric should be the determining factor as to whether or not African-Americans can succeed in higher education, not an outdated notion that has proven to be false. The only great equalizers that force young people to interact with other races is school, and the military. Through diversity on the college campus, students learn to interact with each other and people of different races. I dare say it’s the microcosm on which our society is based. Reducing institutions to “lily white” experiences does both students and society a severe injustice. Schools need diversity; of ideas, of races, of religions. This is how we will be stronger as a nation – with tolerance, understanding and success for all. 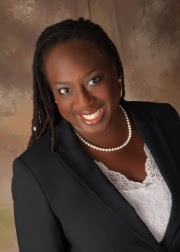 Melba Pearson is an attorney, writer, speaker, wife and the Resident Legal Diva. Follow her on Twitter @ResLegalDiva. She is also the President of the National Black Prosecutors Association. Learn more at www.blackprosecutors.org.